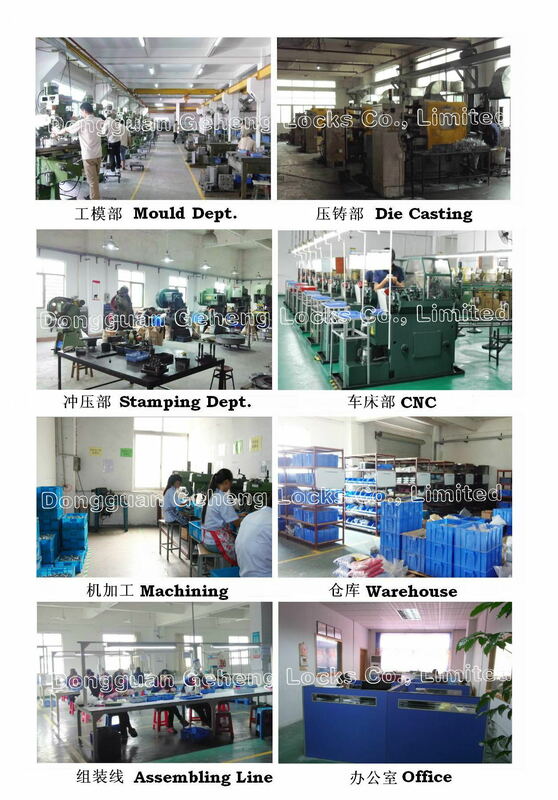 Our factory founded in 2002, it covers an area of 2,000 square meters and has about 100 employees. We specializes in developing, manufacturing, marketing of high quality various kind of hardware and locks, including cam lock, switch lock, cabinet lock, furniture Locks, pad lock, Cylinder Locks, Wing knob Locks, Stainless steel handle lock and hinge, luggage lock, stationery Lock, zinc alloy die castings and hardware stamping and so on. Professional group in designing, manufacturing, laboratory testing and as well as professional service. We supply you the high security and top quality lock for your different kind of solution. Our locks are widely applied in computer, communication, network, enclosure, cabinet, furniture, display racks, and other industries. Sell locks to Europe, Canada, United Status, England, Japan, Taiwan etc, as well as China.